Outdoor appreciation starts at an early age and the new boys' and girls' Sprout and Mini snowshoes, featuring new exciting and bright kids' designs, are the perfect way to instill winter's wonder in young children ages 4 to 8. The all-day comfort afforded by the new easier-to-use Grom bindings' molded tongue and shape will keep the kids happy while parents will appreciate the bindings' new heel strap design and less time kneeling in the snow. 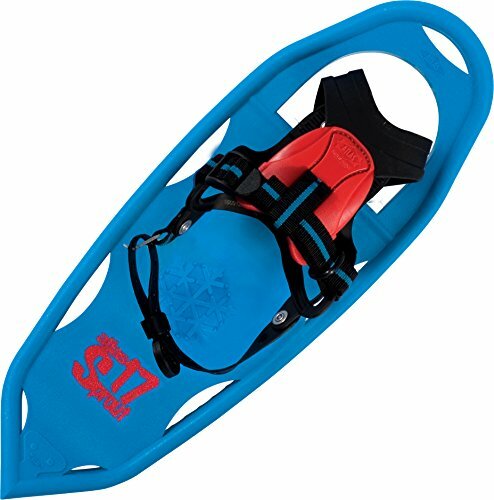 The 17" Molded V-Frame decks provide stability and durability for snowy play, with the functionality and effortless stride of an adult V-Frame shape. The Snowflake Molded Traction accompanies the steel toe crampon to give the new Sprout and Mini excellent grip without excess metal and your kids will love the snowflake and Atlas stamps left in the snow. If you have any questions about this product by Atlas Snowshoes, contact us by completing and submitting the form below. If you are looking for a specif part number, please include it with your message.